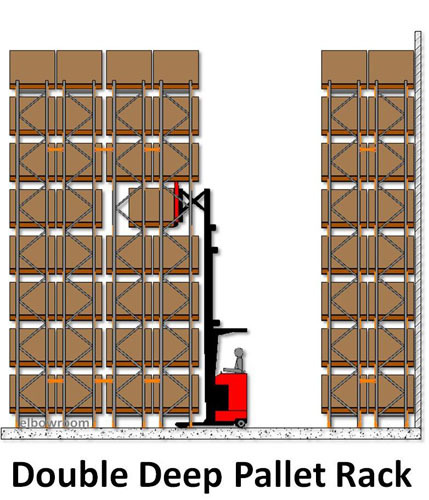 Enquire about Double Deep rack now! 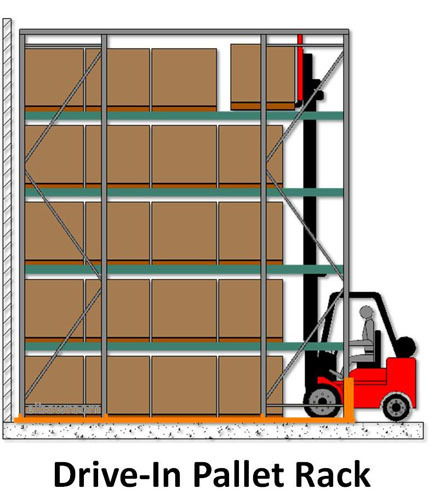 Double Deep Pallet Racking systems provide a higher storage density than the Selective Rack, making double deep racking an ideal solution where slightly larger quantities of the same SKUs are stored. 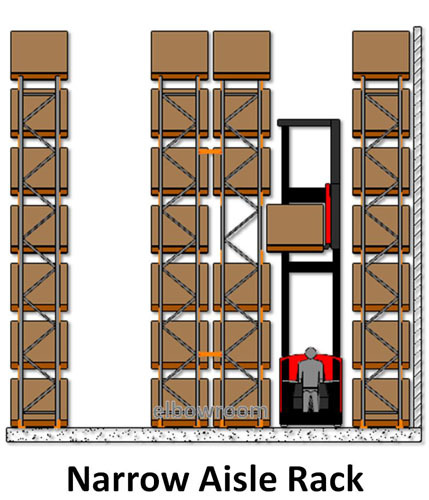 This warehouse shelving solution is suitable for a large range of product types including food, beverages, hardware and produce (among others), making it an option for businesses operating in a variety of industries. 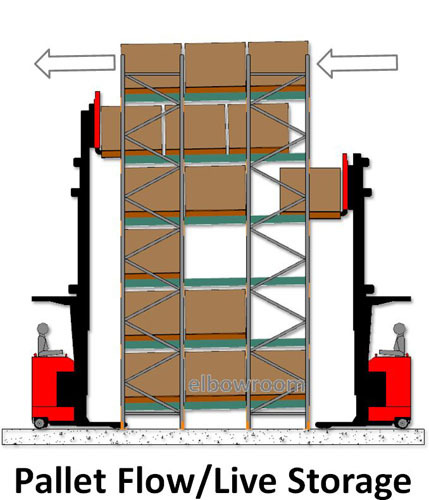 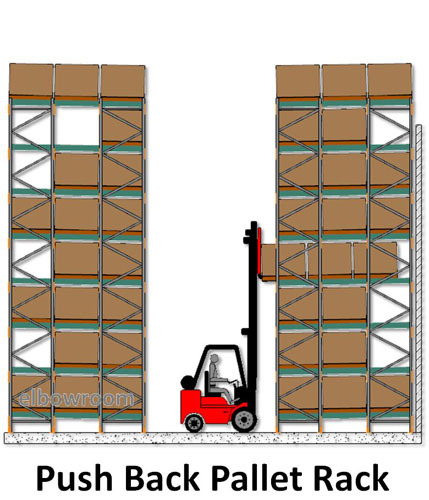 Double deep racks are usually serviced with purpose-made double-reach fork trucks that are fitted with pantograph mechanisms designed to reach into the rear pallet. 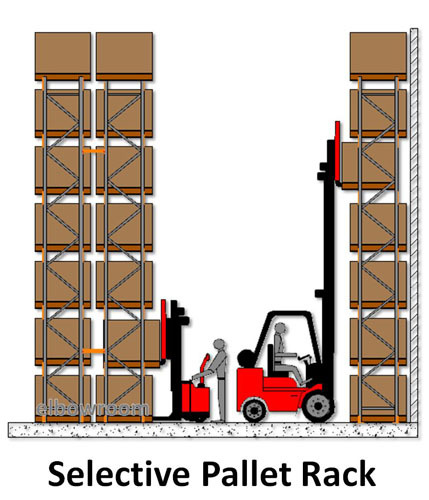 The double deep pallet racking concept does require the operator to remove the front pallet before accessing the rear pallet, which is why it is most suitable when storing larger quantities of the same SKU. 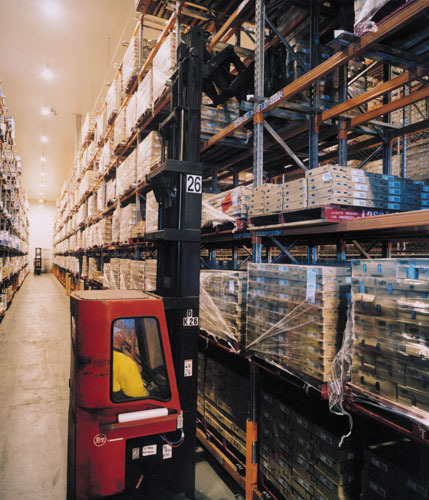 For more information on Double Deep Pallet Racking systems or any other racking systems, contact us online or call our knowledgeable team today on 1800 810 331. 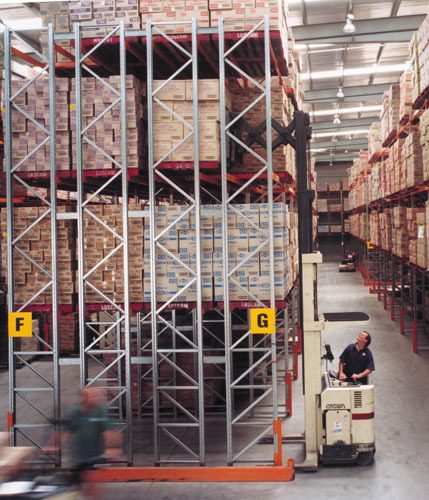 Various products stored on Australian standard pallets, inc. Food, Beverages, Hardware, Produce, Industrial Products, Bulk Liquids, Tiles, etc. 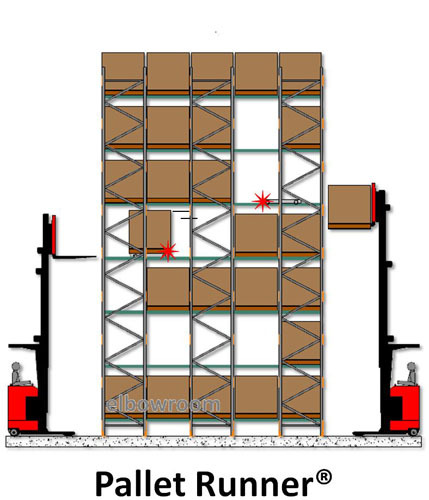 Limited integration with Longspan shelving, Carton Live Storage, Conveyor.